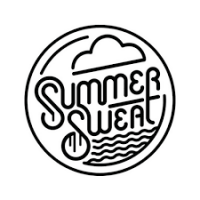 The Summer Sweat Challenge is designed to offer an incentive-based approach to a group fitness programs and will take place at all three of our locations: Wade Ave, North Raleigh, and Park West Village (Morrisville). The Summer Sweat Challenge isn't meant to be a race- or distance-specific training program, but rather an opportunity to connect with other members of the local running community to have a group approach to fitness. All paces and fitness levels are welcome! How does the incentive program work? For every Fleet Feet Sports Raleigh/Morrisville workout attended participants will receive a point, good toward store gift cards. Summer Sweat will run for 10 weeks. At the end of Summer Sweat the male and female with the most points awarded at the end of the program will be announced as the King and Queen of Summer and will receive a special prize fit for running royalty! -Thursday, 6pm - social run from each store. We will provide routes of 3 and 5 miles for the Thursday evening runs. -Saturday, 8am - social runs (North Raleigh and Wade locations) and 7:30am Breakfast Club tour (Morrisville). 3, 5, and 7 miles for the Saturday morning runs. -Training program run such as Summer Camp Trail, Speed Series or Breakfast club tour. ***Training programs are a separate cost. ***Must be present at a Fleet Feet Sports social run/training run to receive the points! The program runs from May 31st - August 4th. The cost of the Summer Sweat program is: FREE! All participants that sign up will be rewarded with a Summer Sweat Koozie and their incentive gift card at the end of Summer. They must attend the "Royal Run Party" at the end of the Summer Sweat program to receive their prize. At the party we will Crown the King and Queen of Summer Sweat (must also be present to get prize pack). The party will be on Saturday, August 4th at 7:30am, location to TBA. *Don't forget to download the Fitvil app on your phone. You will be responsible for checking yourself in to receive the points for each workout. Additional questions? You can reach our training program coordinator, Gina, at gina.james@fleetfeetmorrisville.com. Description: The Summer Sweat Challenge isn't meant to be a race- or distance-specific training program, but rather an opportunity to connect with other members of the local running community to have a group approach to fitness. All paces and fitness levels are welcome. For every group run you attend, you will receive a point, good for prizes at the end of the program.